Beginning this Sunday, St. Paul’s is launching a new adult small group during the Sunday School hour. 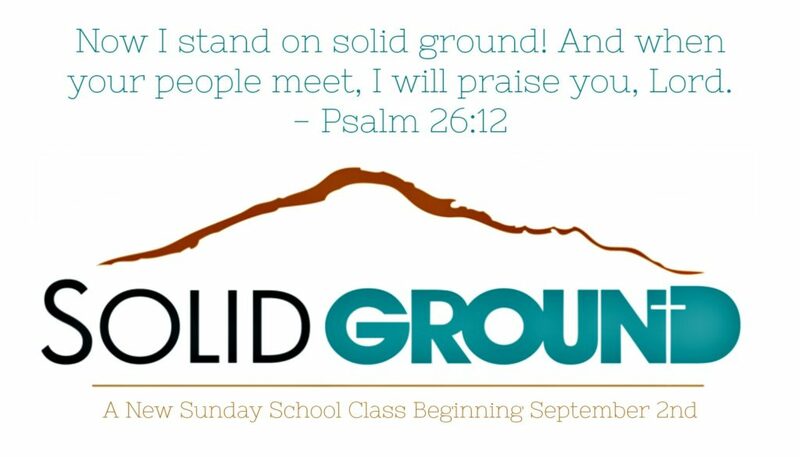 Solid Ground will meet every Sunday at 9:30AM for an in-depth and enlightening study of the scriptures. Bring your bibles and compare translations with other group members. Solid Ground is led by Tate Monroe. This class is best for young adults through senior adults. All are welcome. I attended my first meeting of Tate’s new Bible Study today and I’ve found a home! This class is exactly what I wanted. THANK YOU TATE! I may have posted my comment in the wrong place, but I went to this group today for the first time and I’ve found what I’ve been looking for. Please join us, it is a wonderful group. Thank you Tate! This is great news, Marilyn! We are so glad you’re a part of our church and a part of this small group. Thank you for sharing how it is impacting your life!